Home→construction→What Is A Land Surveyor? A Land Surveyor is essential whenever you plan on building a house, buying or selling a property, or dividing your property amongst your children. 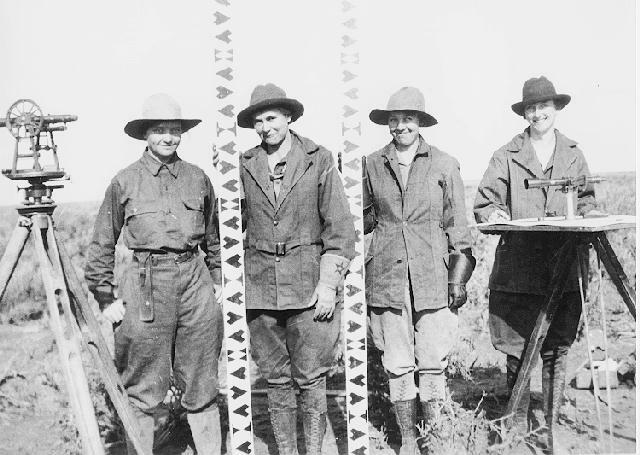 Many land surveyor made it down to history. In fact, three of the four faces carved in Rushmore are land surveyors (Presidents George Washington, Thomas Jefferson and Abraham Lincoln were all three surveyors, Teddy Roosevelt was not.). Others popular names were Daniel Boone, Meriwether Lewis and William Clark (Lewis & Clark), Sir George Everest, Charles Mason & Jeremiah Dixon (of the Mason-Dixon Line fame) and author Henry David Thoreau practiced for a time in Concord, Massachusetts. Aland surveyoris a person with the academic qualifications and technical expertise to measure and plot the lengths and directions of boundary lines and the dimensions of any portion of the earth’s surface (including natural and other structures). That definition is quite a mouthful, but in actuality the field of surveying (geomatics) includes many other facets. If you plan to purchase a lot, build your dream house, divide your property to your children, or simply want to know the details of a land property, a land surveyor is the best person to help you out. A land surveyor locates theboundaryof your property and the location of your home within that boundary to determine if there are any encroachments by your neighbors onto you or vice versa. Common encroachments are fences, driveways, etc. How to become a land surveyor? As of 2007, a newly licensed land surveyor is required to finish a four year degree in surveying or a closely related field, a four to eight years of on-the-job training under a licensed practicing surveyor. In addition to that, licensed land surveyors are mandated to attend 15 hours of continuing education annually to ensure that they are kept updated with the new know-hows that would help them on their professional growth. As part of a standard lot or mortgage survey of a property, expect your land surveyor to review tax maps, aerial maps, deeds, subdivision plats, zoning ordinances, subdivision regulations and possibly even flood maps. For a typical lot survey, the subdivision plat is the most important of these because it tells the exact dimensions of your lot and the relative location of your property corners. The surveyor uses this to locate and/or re-establish your property corners. Once all of the field information is gathered, the crew chief takes the field notes and prepares a preliminary sketch of the work. This is passed along to a draftsperson who prepares the final outline for your use. The draftsperson will check all of the maps mentioned earlier to make sure that all building setback lines and easements are shown on the draft. The surveyed distances and directions are compared to the plat distances and directions as well. Any discrepancies or encroachments are shown on the drawing. Your lawyer may use the draft to determine if any other legal work is needed during the closing. The mortgage company or the bank may also use the survey for their records. Location * Provide property address. 6013 Centerwood Dr Knoxville, Tennessee, 37920, United States. Show brilliance with cheap sports jerseys is trendy for fashion world. You will be shocked by the charm of cheap sports jerseys with 100% quality guarantee for our customers.